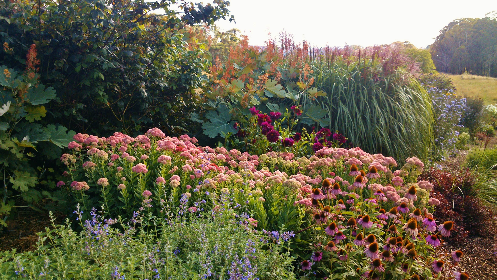 Hillandale is a specialist perennial nursery within six acres of magnificent park like grounds. 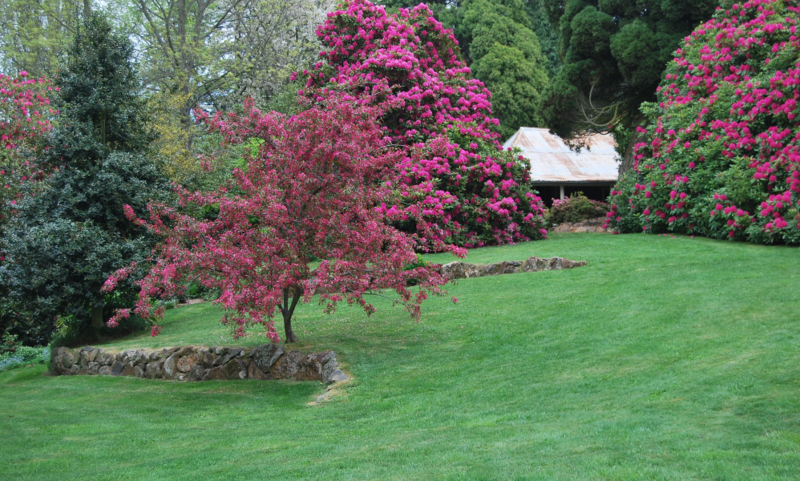 The garden features mature towering trees, one hundred year old Rhododendrons, many rare and interesting shrubs, a woodland walk, a fern lined spring creek and a one hundred and twenty metre long double herbaceous border. Hillandale is a cool climate garden and all plants sold in the nursery are propagated on site. Annual Rainfall avg: 890mm. Summer avg. 222mm. No. of rainy days: 52 Winter avg. 244mm. All gardens are a work in progress and Hillandale is no exception . 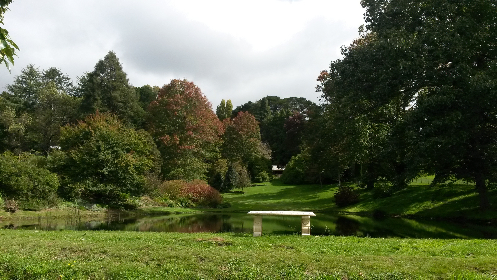 Stroll around the magnificent grounds then relax by the water and enjoy a picnic. The perennial border peaks from late Summer to early Autumn The garden is open , the last weekend of each month from October to March or by appointment . Garden Clubs and bus groups welcome . 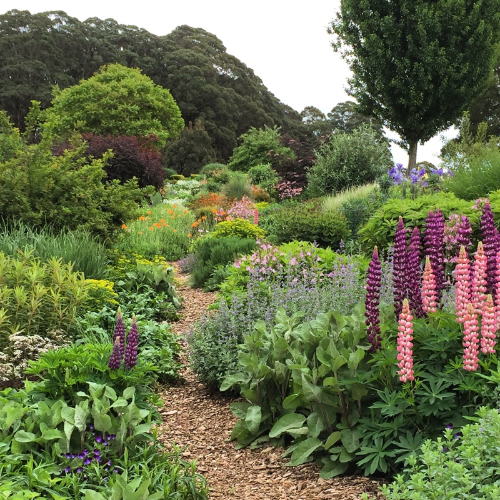 A 3 hour drive from Sydney and this garden is well worth it. An oasis in the countryside. Sarah's border equaled many I have seen in England. This garden was absolutely breathtaking, a real work of art!